Jason visited Hinchliffe Mill J&I School to meet with the teachers and children. He was given a tour of the school by the Head Teacher. 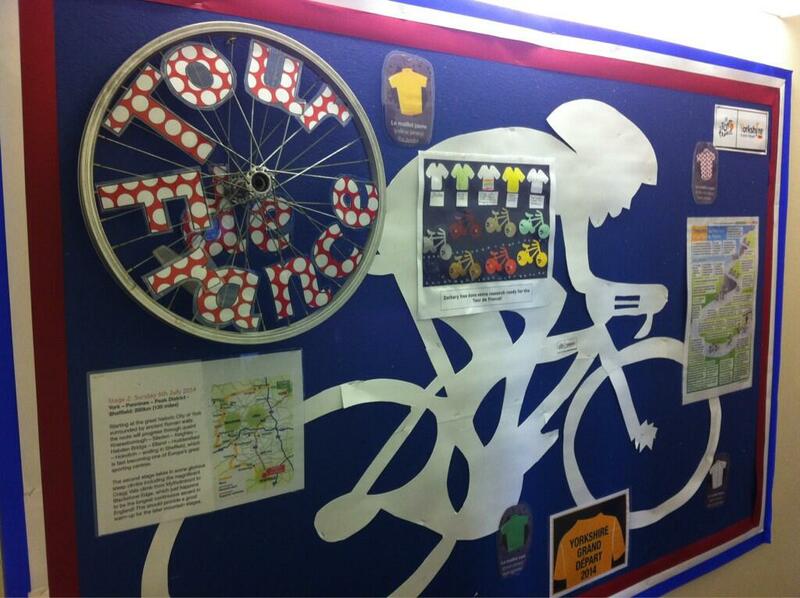 Jason was delighted to see the Tour de France collage created by pupils in the run up to the big day on Sunday 6th July.